hand rejuvenation. The hands don't lie. Hand Rejuvenation is a fast, simple and non surgical way to turn back time! Don’t Let Your Hands Give Away Your Age! The hands don’t lie. Even with a more youthful appearance of the face, your age can easily be given away by the appearance of your hands. 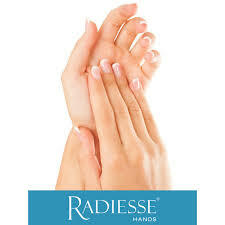 RADIESSE® restores volume to the hands while providing smooth, natural-looking results that can be seen immediately and can last up to 1 year.